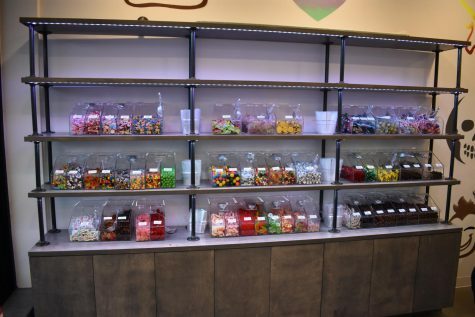 Scoop Shop in the Golden Horseshoe is serving up frozen yogurt, ice cream, and candy for all. The store opened on Friday, May 18, and its first day was successful. There were many people in the store, happily enjoying their sweet treats. The shop is spacious, and it feels very open. 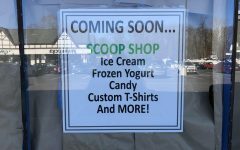 There is a metal sign with “Scoop Shop” spray-painted on, which adds to the modern atmosphere. The store is brightly lit, and a digital menu is displayed on televisions throughout the store, making it very easy to read. The pricing system is very simple. Ice cream and frozen yogurt, along with toppings, are charged by the ounce. On opening day, one ounce was 67 cents. Candy was $2.68 per ¼ pound. 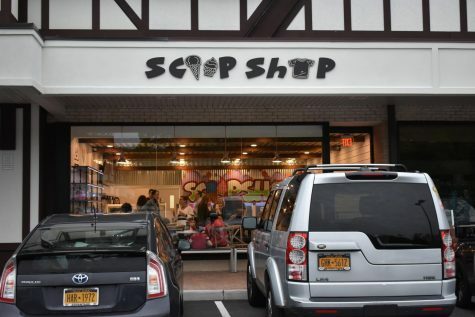 Scoop Shop has great ice cream, frozen yogurt, and a self-service topping bar. 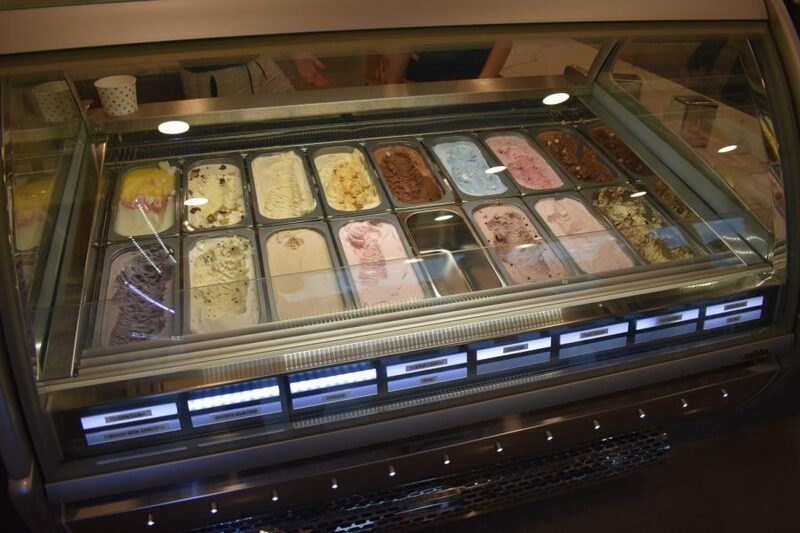 You can sample a variety of ice cream flavors before making your selection. 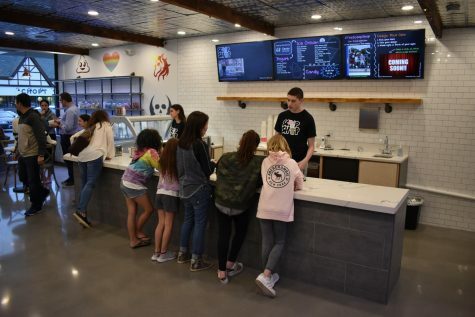 On opening day, there were 15 ice cream flavors available, including classics, such as rainbow sorbet and chocolate, as well as specialty flavors, such as rose. I tried the rose and mint chocolate chip ice cream. The rose was creamy, and the floral flavor was not too strong, which I appreciated. Equally delicious was the mint chocolate chip ice cream, which had a very natural mint flavor, and it was also very rich. The store had six frozen yogurt flavors available. There were around 50 different toppings, including fresh fruit, cookie dough, sprinkles, and chocolate chips. 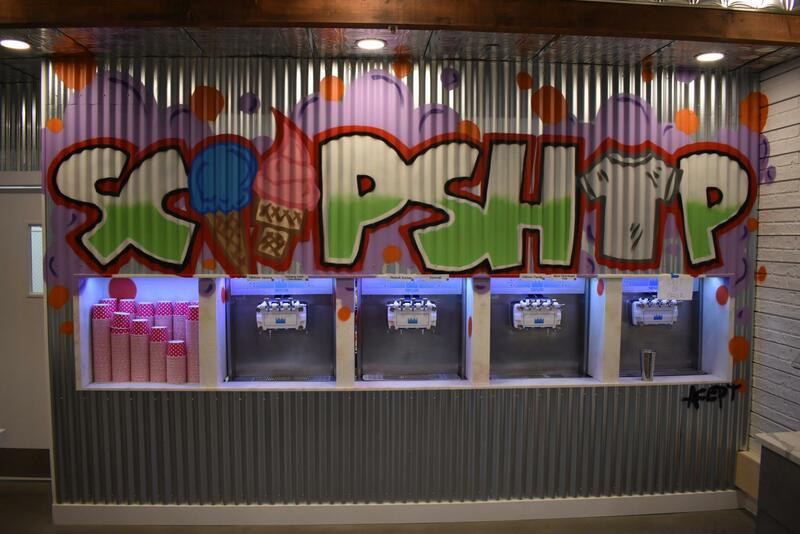 Overall, Scoop Shop is a great addition to the Golden Horseshoe, and it is the perfect place to cool off in the coming months!